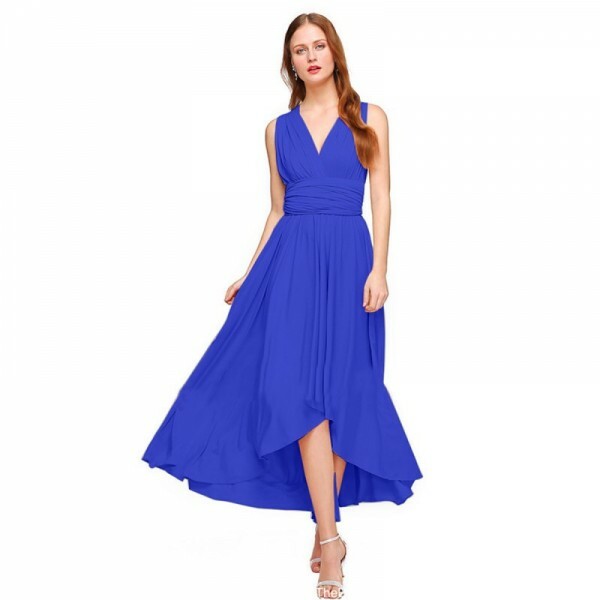 This BLUE sleeveless tank backless long dress with wrapped at waist point with its own cloth to make you princess, specifically made for some special occasions. Made with polyester to show your inspirations in your circle. Three colors and all standard sizes are available to choose. This sophisticated CREAM colored floral with One off-shoulder sleeveless maxi style long to cover yo.. This romantic RED Chiffon slim fit maxi with round neck, full lenght sleeves. Material is chiffon an..
Elegance is in this BLUE dress as we've chosen this by keeping in mind. Beautifully designed lace on..